Still looking for the ideal seasonal rental? Tired of settling on your second or third choice? 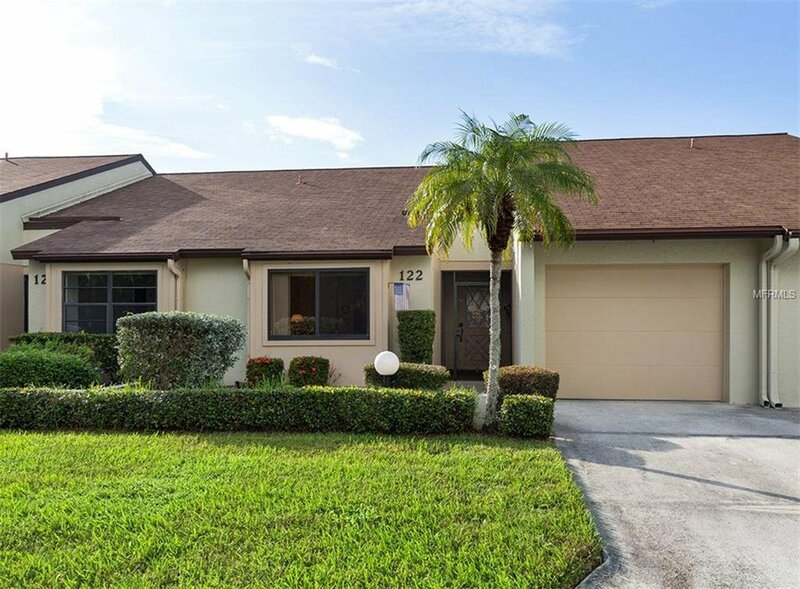 Here’s an affordable opportunity to take charge of your Florida destination in this 2 bedroom, 2 bath, 1 car garage villa with a private Capri Isles Golf Course view. Furnished and snowbird ready, with newer appliances, utility room, impact windows and doors and shiny epoxy coated garage floor to keep your toys neat and clean. Skylight overhead keeps the unit light and bright. Pocket sliders to the lanai and acrylic windows extend your living outdoors for all year round living. Community allows two small pets and one-month minimum rentals. Low monthly maintenance fees, too. Minutes to Gulf beaches, downtown and I-75. Listing courtesy of RE/MAX ALLIANCE GROUP. Selling Office: PALMERHOUSE PROPERTIES.